Which of the 29 works of art will walk away with the People’s Choice award from the 17th Annual CSWD Creative ReUse Showcase? The final opportunity to cast your vote comes at 6 p.m., Thursday, March 28, when votes are tallied and the winner announced at the Awards Bash at Frog Hollow State Craft Center Gallery in Burlington. Frog Hollow will give a $100 gift certificate to the People’s Choice winner — voted on by gallery visitors — at the closing Showcase Awards Bash. This awards bash is open to the public and serves as the culminating event where all of this year’s winners will be awarded gift certificates or cash prizes from local business sponsors, valued at $100 or more, with the Best In Show taking home $200 cash from sponsor NRG Systems. Nine other awards will also be handed out that night, with the Chittenden County high school student-artists on hand to answer questions and bask in the well-deserved spotlight. Cassette tape takes the form of Audrey Hepburn in “Breakfast at Tape-any’s,” including a sultry trail of “smoke” from her cigarette. 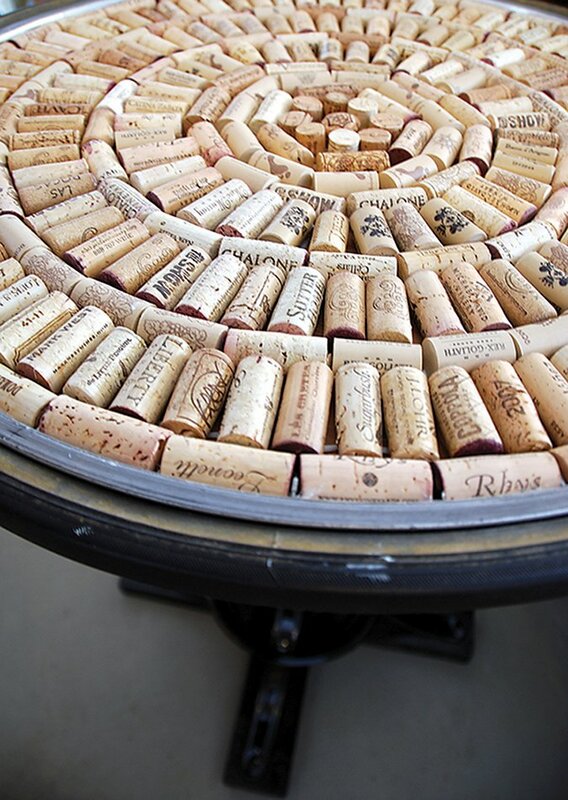 Concentric rings of corks form a dizzying tabletop. Metal cans make the giant bill of a trash-based pelican, complete with a beaded fish too beautiful even for an artful bird to eat. 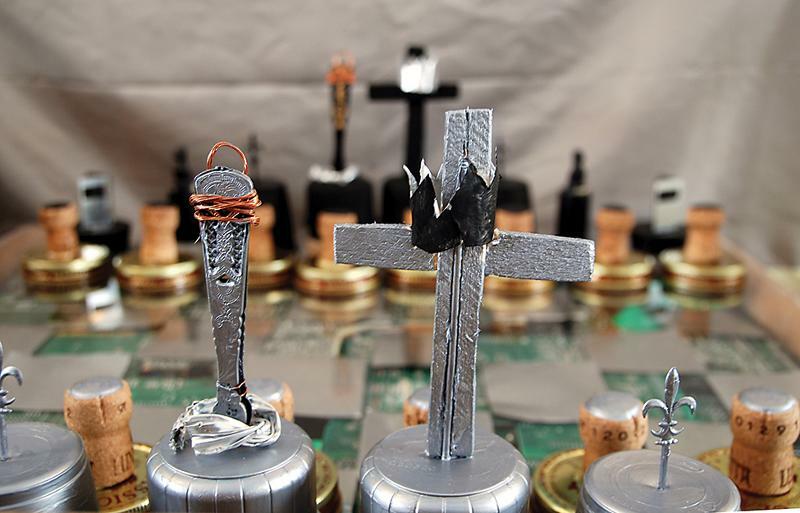 These and 26 other works of trash-based art made by Chittenden County high school students have been on display at Frog Hollow since March 1. Best-In-Show: sponsored by NRG Systems ($200 cash prize) “Put A Cork On It,” a table made from wine corks, discarded PVC pipe and old Christmas tree stands, by Sarah Ferry and Alex Groen of South Burlington High School. 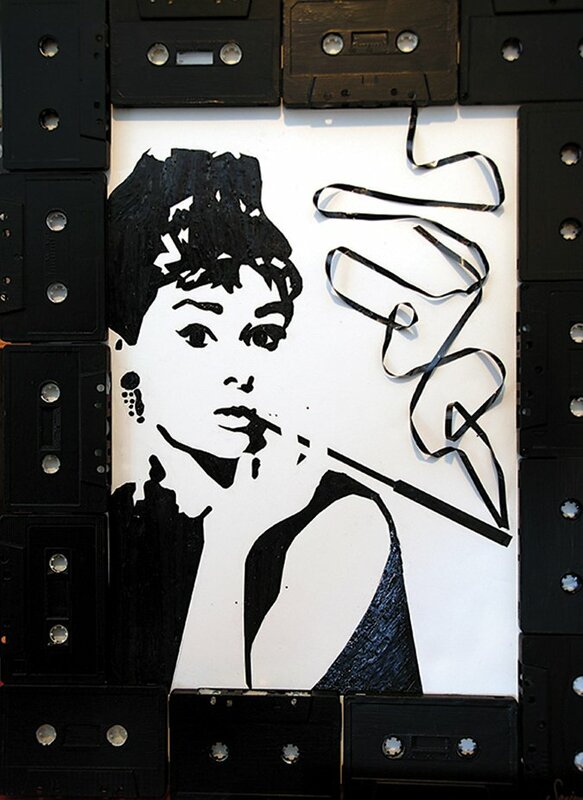 2-D Awesome Art: sponsored by Boutilier’s Art Center ($100 gift card prize) “Breakfast at Tape-any’s,” a portrait of Audrey Hepburn rendered in cassette tape on poster board, framed by the cassette tapes, by Sarina Cannizzaro of South Burlington High School. 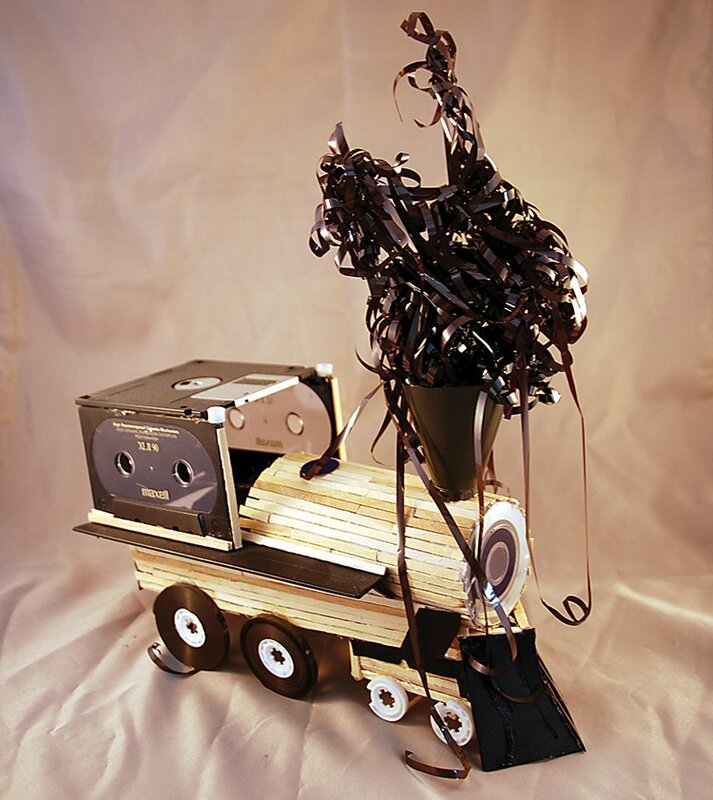 3-D Awesome Art: sponsored by Burlington City Arts ($100 gift card prize) “Nostalgia Trip,” a steam locomotive constructed using coffee stirrers, cassette tapes, and floppy disks, by Olivia Hern of Champlain Valley Union High School. 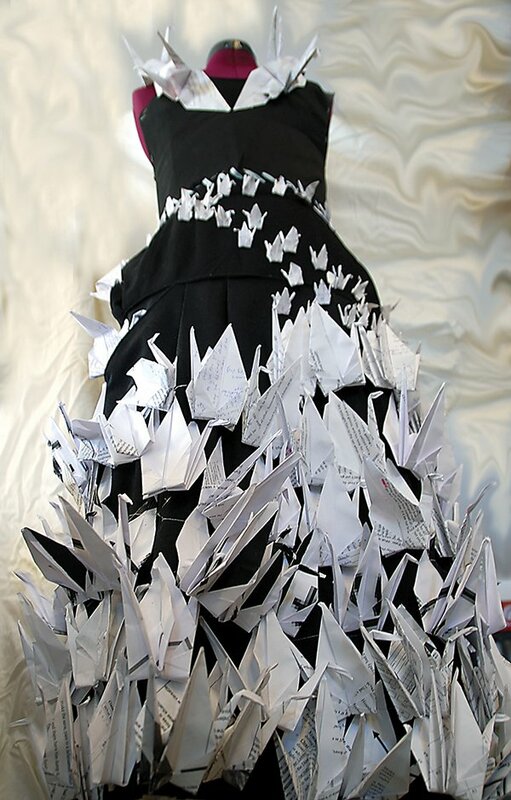 Fabulous Fashion: sponsored by Battery Street Jeans ($100 gift card prize) “The Flight of the Recycled Printer Paper,” a dress stitched from fabric scraps and a Goodwill skirt, adorned with origami cranes folded from classmates’ papers and school printer scraps, by Rose Watts of Champlain Valley Union High School. 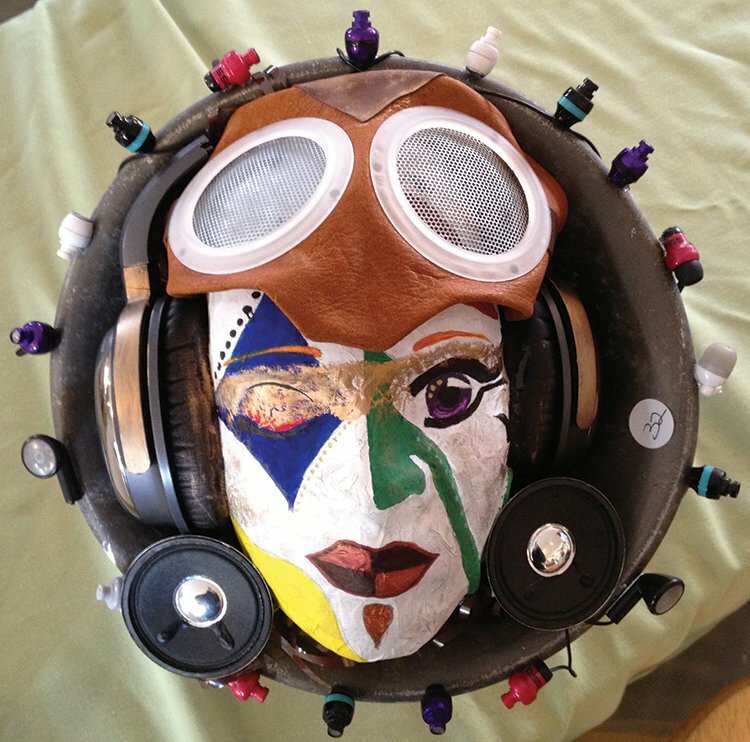 Jammin’ Junk: sponsored by Advance Music Center ($100 gift card prize) “Punk Rock,” an audio speaker incorporating a paper mache mask, leather scraps and a variety of broken audio and electronic waste, by Victoria Southwick of South Burlington High School. Perfectly Practical: sponsored by Outdoor Gear Exchange ($100 gift card prize) “Computer Chip Chess,” a giant chess board made from computer chips, driftwood, corks, cups, caps and other scrap, by Jack Barron and Kyra Fay of South Burlington High School. 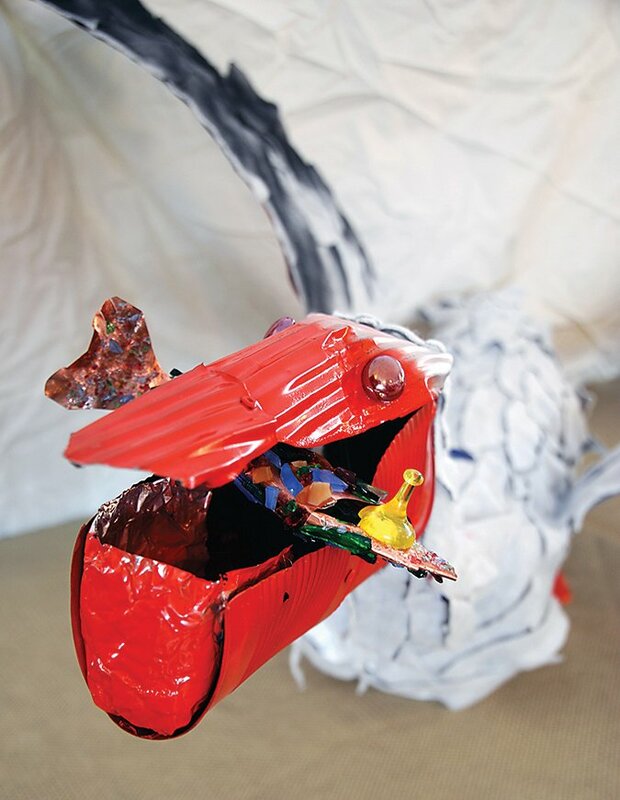 Strongest Statement: sponsored by Bolton Valley Ski Resort (four lift tickets for the 2014 season) “Ungainly Beauty,” a pelican with its prey constructed from discarded fabric, broken glass, and scrap metals by Leah Dell of Colchester High School. 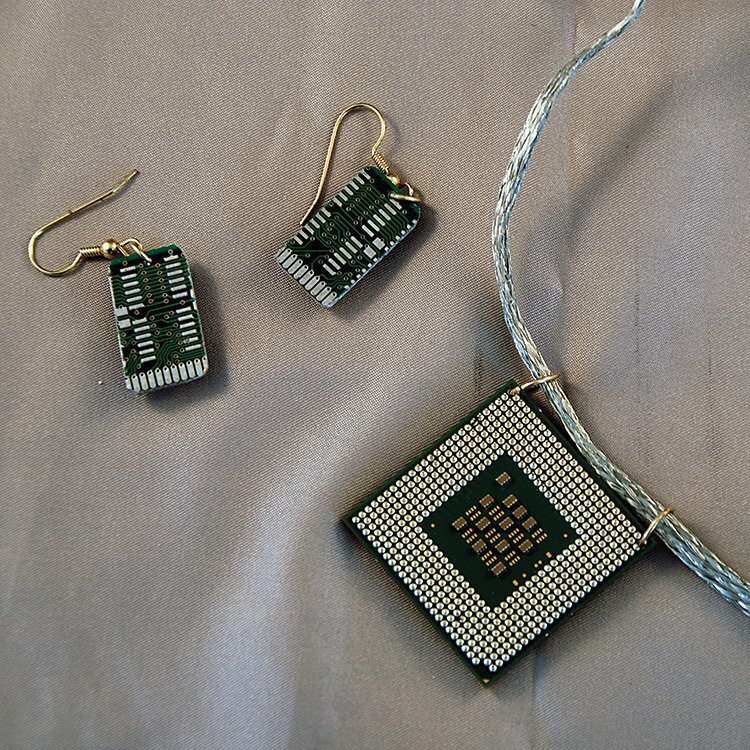 Techno Totems: sponsored by ReSOURCE ($100 gift card prize) “Jewel of the Computer,” jewelry made from computer data chips, circuit wires and keyboards by Jonathon Pearce and Lance Perry of Mount Mansfield Union High School. 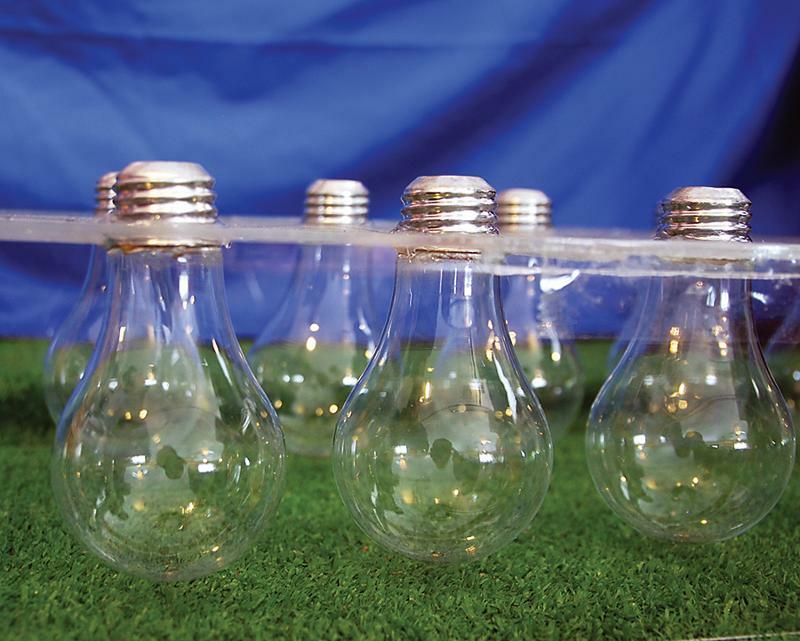 True Trash: sponsored by Casella Waste ($100 cash prize) “Light Bulb Terrarium,” a terrarium crafted from construction-waste plexiglass and burned out, eviscerated incandescent light bulbs, by Nash Krywka, Christopher Cobler and Spencer Dodds of Mount Mansfield Union High School. People’s Choice: sponsored by Frog Hollow Vermont State Craft Gallery- Come to Frog Hollow Gallery and vote for the artist YOU think should win the $100 gift card!